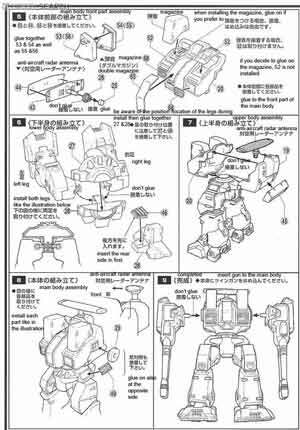 Destroid Defender from the original Macross anime series. 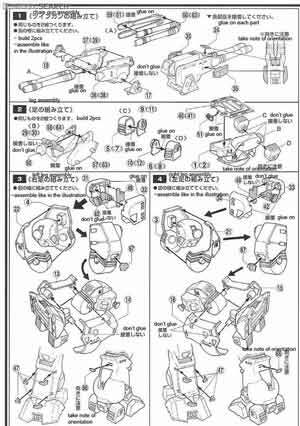 This was originally made as 1/72 model kit by Imai then Bandai bought the original molds and republished the model kit last year. 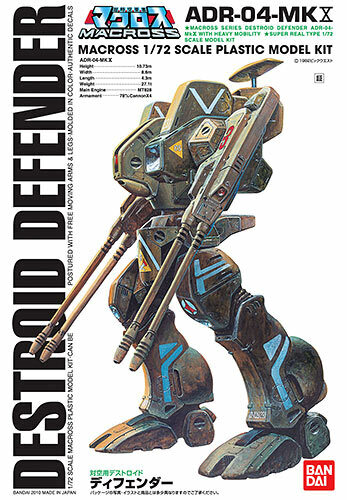 The Destroid Defender functions as an anti-aircraft mecha for the UN Spacy forces operating oboard the Macross. 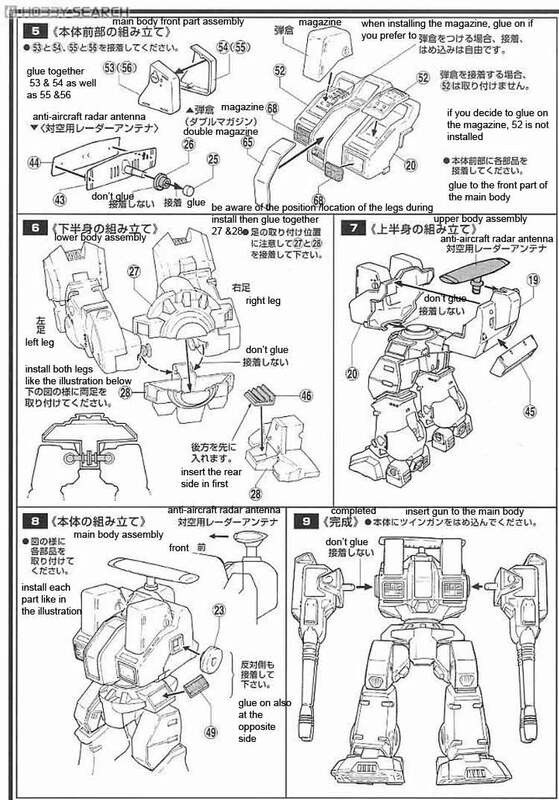 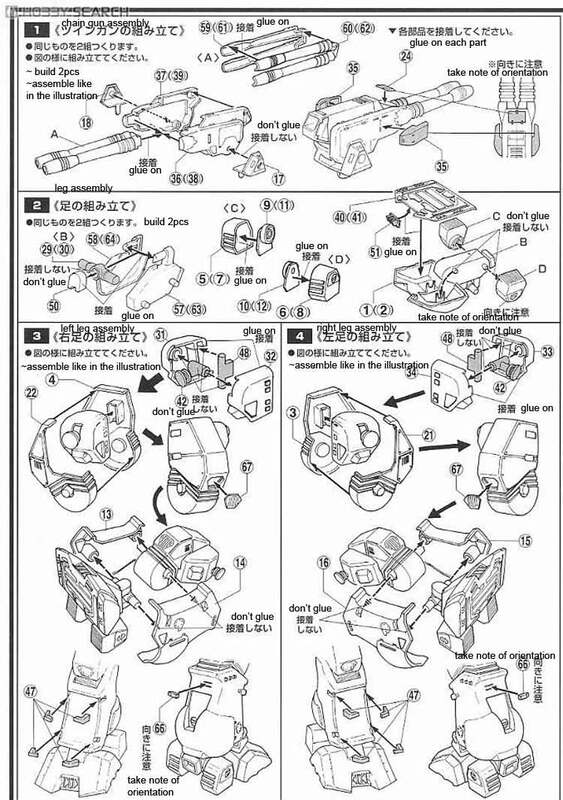 In place of arms it has dual machine guns that are fed from magazines located at the shoulder of the mecha.